This afternoon I was able to connect with my research team working in Nampula, Mozambique via a Google hangout. I used my Glass device that was tethered to a smartphone. 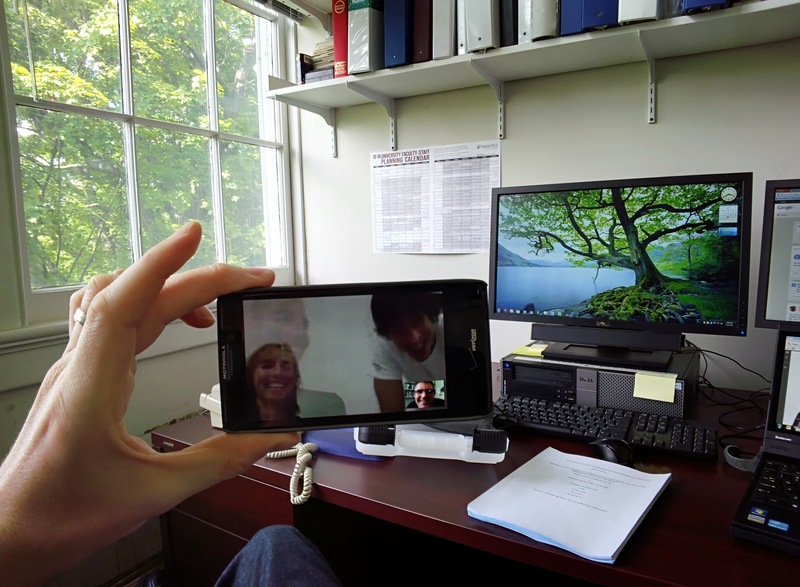 The picture below (taken via Glass) captures the moment I connected with my colleagues. What is exciting about this platform is that I can now connect with my research team from any location in the US, which I wasn’t able to do previously.